Join us in our mission to inspire a love of reading! 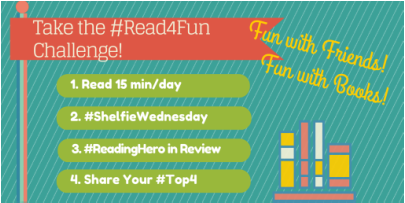 #Read4Fun Twitter Chat. A movement in literacy, for teachers, by teachers. Our Story: "It Started with a Tweet"
One spring Saturday afternoon, four educators connected through Twitter based around one simple purpose: we all wanted to fall back in love with reading and share the books we hoped to read for fun. What started as a conversation about a love for reading has evolved into a movement to connect passionate educators with books and with each other. 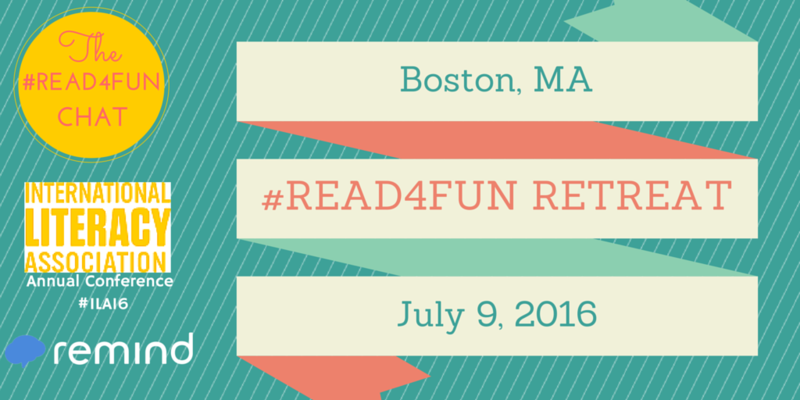 With #Read4Fun, we want to share our conversation with you. 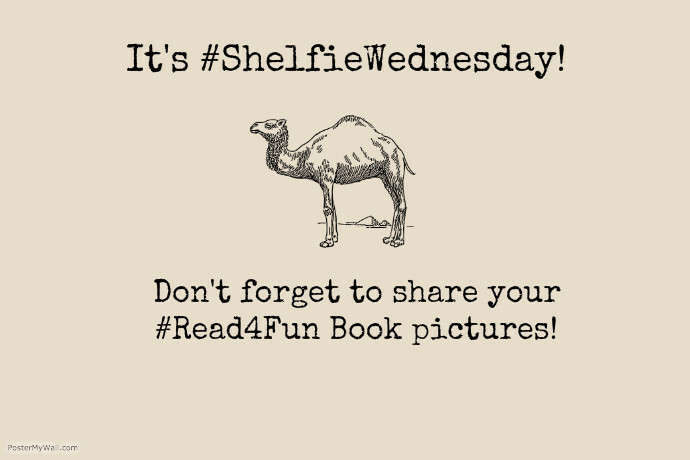 Think of it as a virtual cup of coffee where you get to talk about books with friends. Our goal is to encourage everyone to take 15 minutes every day to simply read for pleasure. We invite you to join in the fun!